Vegetative-vascular dystonia is a functional disorder characterized by disruption of the normal functioning of the nervous system. One of the main symptoms of VSD are heart pain. They are expressed in different ways-from discomfort to excruciating suffering and fear of death. Pain in region of heart at vegetative-vascular dystonia can be in the nature of aching, pricking, cutting, crushing. Concerned about human tightness, burning, feeling of the presence of a foreign body in the chest. The pain symptoms appear in the region of the heart, a little below the left subclavian region, and interscapular region or under the left shoulder blade. Pain can radiate to the neck, jaws, left arm. Their duration can vary from several seconds to several hours. They may start gradually but may be paroxysmal. 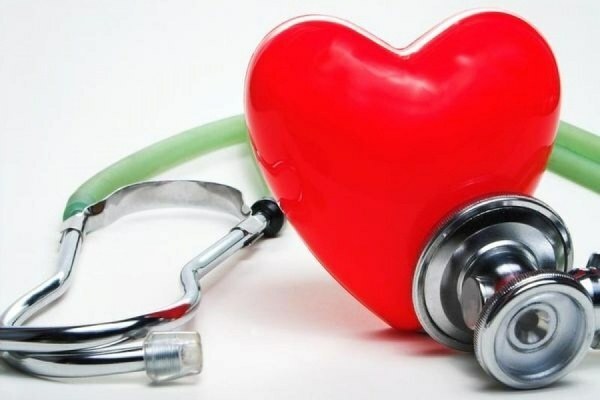 Most often the occurrence of pain in the heart at vegetative-vascular dystonia is associated with the following factors: physical activity, nervous strain, overwork, chronic stress, emotional stress, weather changes, alcohol, hot drinks, carrying loads in the left hand, in women premenstrual period. Sometimes heart pain occur at night after unpleasant dreams. These symptoms should be taken seriously, as they may indicate problems in the cardiovascular system. When vegetative-vascular dystonia there are several types of pain in the heart area. The first type includes the constant pinching or aching sensation to the feeling of depression and melancholy. Such pain can be transferred easily, they do not affect the ability to work. To improve the condition should take preparations of Valerian, menthol. The second type is manifested long, intense burning in the region of the heart, pain is long, sometimes so strong that people are forced to call "ambulance" as "Valocordin" or "Validol" does not bring relief. In this case, can help the mustard on the chest in the heart area, receiving sedatives or anesthetics. The third type is characterized by prolonged pain, which appears in the form of attacks. They arise suddenly, apply to the chest. Pain accompanied by feeling short of breath, palpitations, sweating, shortness of urination, sometimes pain of death. They do not pass after taking of Validol or Nitroglycerin. Because these symptoms are similar to manifestations of heart attack, in this case, be sure to call for an ambulance. The cause of such pain in the heart needs to find out a doctor. The fourth type is characterized by short-term (from 2 to 20 minutes) with paroxysmal pain in the heart area, caused by emotions. Similar symptom docked "Validol", "Nitroglycerin" for five minutes. The fifth type of pain in the heart at different VSD unpleasant sensations that appear while you walk. Unpleasant symptoms, in contrast to angina disappear immediately after exercise. The pain is not very stable, they only appear during periods of acute VSD, the rest of the people are quite resistant to such loads.